Just like with humans, some dogs can develop allergies to grass, foods, pollen, dander or environmental. Atopic Dermatitis is an inflammatory disease closely associated with allergic reactions such as dry and itchy skin. A "grass allergy" is triggered by the pollen that exists in the atmosphere particularly evident during spring and summer. There is an astounding 4500 species of wind-pollinating grasses however pet owners should remember that a “ grass allergy” is to the grass pollen and not to the grass itself. The peak pollen season is from mid-May to mid-July. These tiny spores are then absorbed triggering an allergic reaction. If your dog is fond of rolling in grass as most pets are and he begins to sneeze and itches – he could have a "grass allergy". 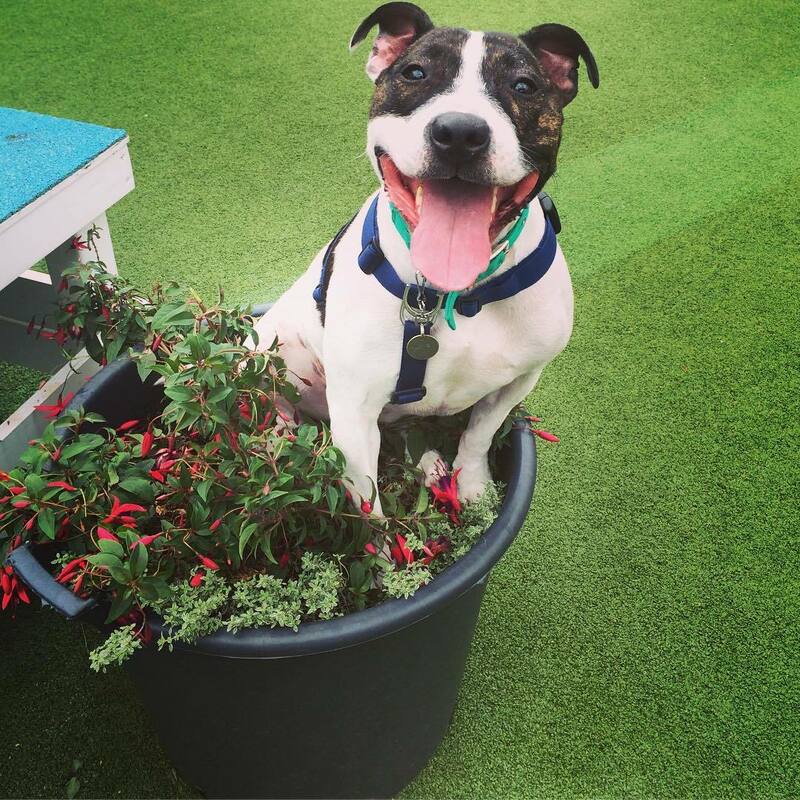 Similarly if your pet enjoys sleeping in flowerbeds and comes in close contact with insect pollinated flowers such as the marigolds, dahlias and chrysanthemums, this too can trigger an allergic reaction. Completing a diagnosis of grass allergy is the first step. The easiest way to do so is to bathe your dog and not to let him go in the grass for a few weeks. Instead get him to walk on the pavement. If there is an improvement in symptoms, let your dog out again in the grass to see if the itching flares up again. It is difficult to say what the specific cause may be as it may be a contact allergy or an environmental allergen but the other main causes included: food sensitivity, danders, chemical irritation, hormonal, auto-immune disease, parasites, lavae tick etc. Animals constantly shed hair and dead skin cells (dander) in the environment. Dander is often contaminated with saliva or urine which can serve as an additional source of allergens. Since there are many potential allergens, the best way to narrow it down is to carry out an allergy test on your dog with your Veterinarian to help narrow in on an allergen. Your Vet will perform a number of tests to help with the diagnosis. Along with a physical examination your vet may also suggest a serum (blood) allergy test or an intradermal skin allergy test (IDST) which is carried out by an animal dermatologist to see if grass pollen might be the culprit. The IDST test is considered the better of the two to help identify the relevant allergen. The most common symptoms of a grass allergy are: scratching, rash, excessive licking and redness and running of the eyes and nose. In severe cases it may even cause an inflammation of the airway (anaphylaxis) causing a constriction that makes it hard for your dog to breathe. Possible signs to watch out for are dog sneezing, coughing, and wheezing. If this occurs you need to bring your pet to an animal hospital right away. Here is a complete list of symptoms if your dog develops an allergic reaction to grass. Myth: My dog likes his food and never vomits or has diarrhea so the food isn't the trigger for its skin disease. Fact: Dogs with food sensitives rarely develop gastrointestinal problems. Food allergens in dogs triggers severe itching and skin lesions. The best treatment can be finding a food that has limited ingredients to take some of the load off your dog’s system so they can better handle all the allergens which they are exposed to in the environment. The most common food allergen is a usually a meat protein followed by carbs or contaminant such as mold or storage mite found in the food. A hypoallergenic diet is what is used during a feeding trial generally containing a new protein source your dog hasn’t eaten before such as kangaroo, tofu, duck, venison or lamb plus a good source of complex carbohydrate ( barley, oatmeal, brown rice, sweet potato) and an array of vegetables (no corn). Below is a table with good examples of Limited Ingredient Diet formulas for dogs with sensitivities. Hills Prescription Diet: Canine Z/D Ultra Allergen Free (starch, hydrolyzed chicken liver). Improvements in skin inflammation from food allergies can be slow and specially formulated food diets should be continued for a minimum of 10-12 weeks in order to see improvements in your dog. Grass boots worn by your dog when let out can also help against the onset of grass allergies. These are particularly great if your pup gets swollen paws and abscesses. Keep your grass cut short! Mow your yard before seedheads are produced to help protect Fido from "true grass allergies. Before you begin any treatment, allergy testing with your Veterinarian would be valuable to see what your pup is sensitive to. With that said, here is what your Vet would recommend in order to control inflammation, relieve discomfort and to help your pup sleep through the night. Shampoos, topical ointment such as a cortisone cream (Triamcinolone Topical) or gel, sprays. Corticosteroids, antihistamines, fatty acids, cyclosporine. These are medicated shampoos for treating dogs with sensitive or inflamed skin. If your dog is super itchy look for a sensitive canine shampoo to help relieve symptoms. Choose from either an Oatmeal, Aloe-Vera or a Herbal Shampoo. Gets rid of antigens from the skin's surface so minimizes the allergen load. Thick haired dog coats can be harder to clean. These are of the Omega-3 and Omega-6 family such as Flaxseed Meal/Oil and Fish Oil that also come in the form of a supplement. Gradual noticeable improvements, may take up to 10 weeks. These include: Zyrtec, Benadryl, Tavist, Claritin, Temaril and Elavil. In the case of antihistamines, there may be a little trial and error until you find the right one for your pup. Generally a couple of weeks is required for the antihistamines to work. First check in with your Veterinarian for the correct dose to give your dog especially if they are on any other medication to be on the safe side. Can be a little time consuming until the right antihistamine is found that works on your pet. Corti-costeroids such as prednisolone and prednisone as prescribed by your Vet. The downside to using corticosteroids is the possible negative side effects such as excessive thirst, yeast infection, urination etc. Most effective at healing skin inflammation and itching relief. Numerous side effects; after prolonged use can be become ineffective. Highly effective at healing skin inflammation and itching relief. Finally, if you find your pup is getting bitten insects in the grass, repellents will help in this regard. If you prefer not to give your dog antibiotics which some owners argue can kill the ability to fight allergens you can try natural remedies. In addition to this, it would be best not to let your dog walk in the grass for a few weeks and bathing him regularly if you’re suspecting that the cause is grass allergies. Aside from limiting your pup’s exposure to allergens here are some other beneficial natural remedies to get relief from grass allergies. Icing your pups paws during the day (when they allow you) can help get relief from swollen paws. Add coconut oil to the food your pup eats. Minimize your dog’s exposure to grass for a week or two weeks (you should walk on the lead on the pavement to prevent contact with grass). Give your dog a daily dose of digestive enzymes and probiotics. 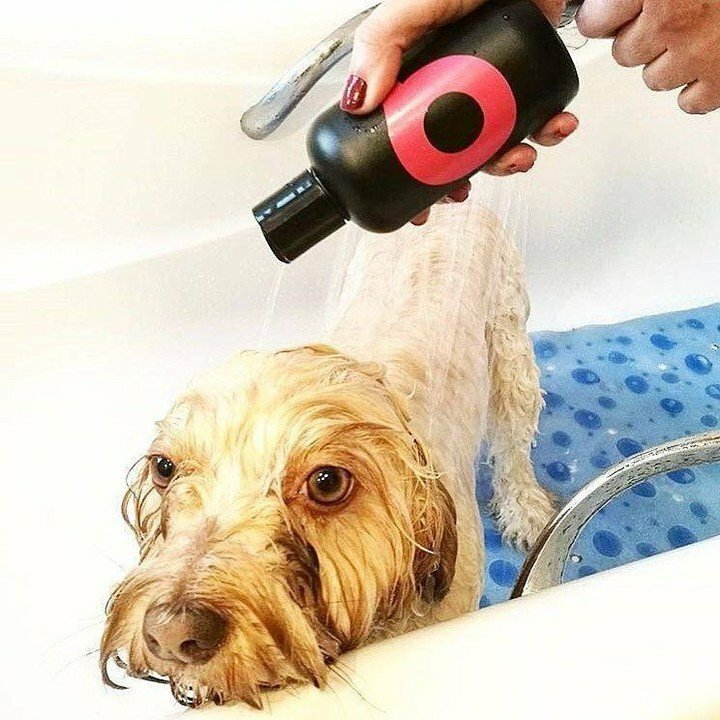 Wash your dog with gentle fragrance and free medicated shampoo to help remove pollen as frequently as possible from their fur and paws. Options like ​dog booties to walk on solid ground and literally prevents their paws from ever touching grass! Wipe paws after each walk with something like Petkin Allergy Relief Petwipes to help with irritation. Use ointments or wax like Musher's secret to treat dry and cracked paws/feet. Keep your dog indoors and walk him only on solid ground for a week and see if there is any improvement. Dietary changes can also be helpful but introduce your pup to new foods slowly so as to avoid stomach upsets. Use formulas like Natural Balance Grain Free Sweet Potato and Fish Formula. In particular diets rich in Omega-3 and -6 fatty acids will help lessen inflammation in the skin. Look for diets with ratios of omega-6 to omega-3 of 10:1 and 5:1. Nutritional supplements containing omega-3 fatty acids are also recommended to help reduce skin inflammations. Use air-conditioners in the home during the summer to minimize pollen in the house. Regular bathing and rinsing of their paws from being outdoors . 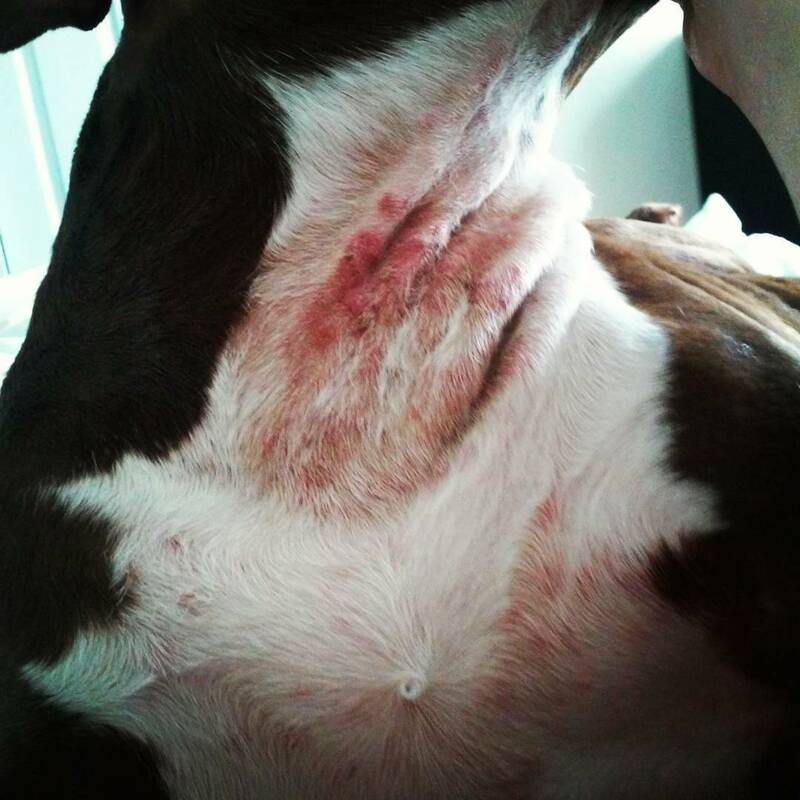 It is frustrating and sad to see your pup suffer with skin allergies and feeling helpless. In some dogs, their immune system overreacts to certain allergens causing an allergic reaction. These can lead to itching, inflammation and discomfort in your pet. The first step is to identify the allergens causing the problem which requires the involvement of a Vet specializing in allergies. An intradermal skin allergy test and/or a serum (blood) allergy test is carried out on your pet to help pinpoint the problem and then removing the potential allergen or limiting its exposure to it. If your pet has been identified to have “grass pollen allergies” limit their exposure to fields, flowerbeds, keeping grass cut short and keep them indoors during peak pollen times of early morning and at dusk. Should You Give Your Dog Probiotics and Which Brands are Best? Best Dog Food for Golden Retrievers – Is it Raw or Commercial Kibble?